David’s prediction has a lot of weight, as sensor distribution for the purpose of collecting data, as well as a rise in User Behavior Analytics, has already been a hot topic in 2016. 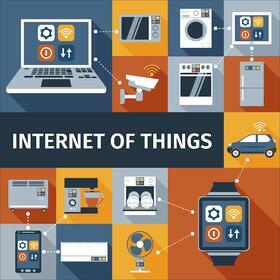 In addition to data collection sensors, there are several other predictions for the Internet of Things this year. Read on as we discuss three of them. In 2016, we will begin to see the Internet of Things, or the Internet of Everything, solve more complex issues related to business. IoT will begin to be seen in the enterprise model and the “smart office,” in addition to benefitting healthcare sectors. This prediction from Information Age suggests as Internet of Things providers reach new clients and publics, they will need to become more strategic in their customer approach.This will mean a migration from selling products to selling both products and services. The rise in data collection means companies will begin to invest in big data analytics to identify patterns and uncover customer insight. As Dave Fafel previously mentioned, 2016 will be about distributing sensors to collect information, but upon collecting how will companies then process the data in a way that allows them to extract value? How will you tap into the power of the IoT? We partner with customers to integrate new technologies that align with corporate strategy with their current IT environment. Often times this leads us to develop custom technology solutions for our customers, helping them realize value from their IT investments and achieve corporate goals. We’ve leveraged the internet of things concept several times when designing custom solutions and upon implementation they all delivered more value than originally expected. Many of the manual processes and challenges companies face need creative solutions – and we are seeing that the IoT concept can drive solutions that solve challenges companies have been struggling to solve for years. Let’s talk about the IT challenges that keep your team up at night. Perhaps the IoT can influence a creative solution. Contact us today to start a discussion. Flarrio is a global community platform where industry leaders share tech insights and their thoughts on the latest technology news and trends. Open to CxO’s, tech leaders, service providers and enthusiasts of cloud computing, Internet of Things, big data, mobility and more. Visit www.Flarrio.com for more information.